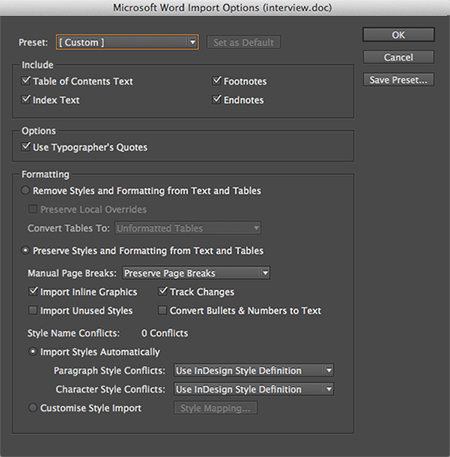 Info: This feature requires the Elvis InDesign Client for Elvis 4 version 2.1 or higher. 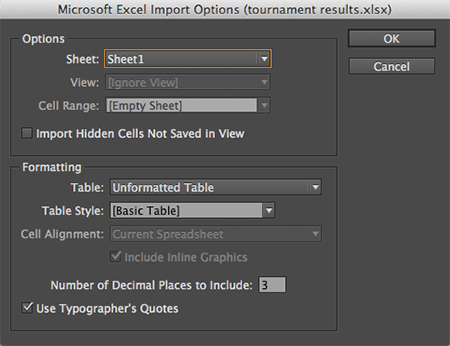 When placing a file in InDesign that is stored in Elvis, controlling how or which parts of the file should be placed can be done through the Import options dialog box of InDesign. Press and hold Shift while placing the file. Figure: The import options for Word files. Figure: The import options for Excel files. 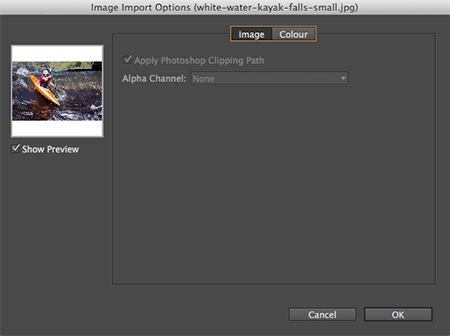 Figure: The import options for images.